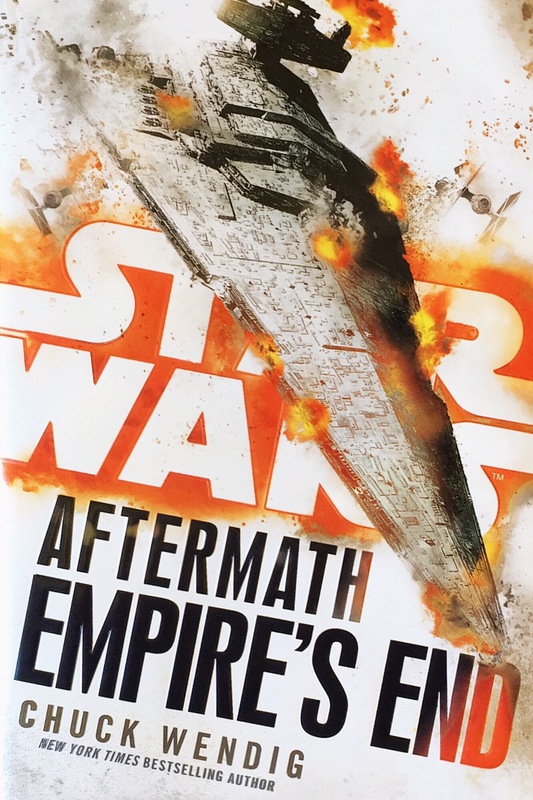 Chuck Wendig’s Aftermath published in the fall of 2015 was the first novel to reset the clock of the Star Wars expanded universe in the time period after Return of the Jedi. It was a resounding success built on the story of the New Republic trying to find its initial footing while the remnants of the Empire gathered to plan it’s next step after the death of the Emperor and his right hand, Darth Vader. Wendig introduced a handful of new characters, Norra Wexley, her son Temmin, his lethal combat droid Mr. Bones, former Imperial Security Bureau agent Sinjir Rath Velus, and bounty hunter Jas Emari. Additionally, Wendig resurrected Captain Rae Sloane of John Jackson Miller’s A New Dawn, promoted to Grand Admiral. Carried through much of Aftermath were interludes which offered glimpses of the Star Wars galaxy beyond the main characters. In those interludes, familiar faces appeared, such as Leia, Han, and Chewbacca. Less than a year later, Aftermath: Life Debt followed with the same warm welcome. Life Debt reduced the number of interludes and expanded its reach beyond Wendig’s original characters to incorporate Leia and Han, as well Mon Mothma, into the main narrative of the novel. Their relative minor presence in Aftermath had been the source of some criticism from fans eager to know the fate of their favorite characters after the Battle of Endor and Life Debt excellently balanced both the new and the old for a more entertaining read. Beyond the characters previously introduced, Wendig also debuted Gallius Rax, a figure whom Rae Sloane answered to, and the mastermind behind an attack on the New Republic that used mind controlled rebels to kill their friends and leaders. In the wake of that attack, the finale of Life Debt, comes Empire’s End. 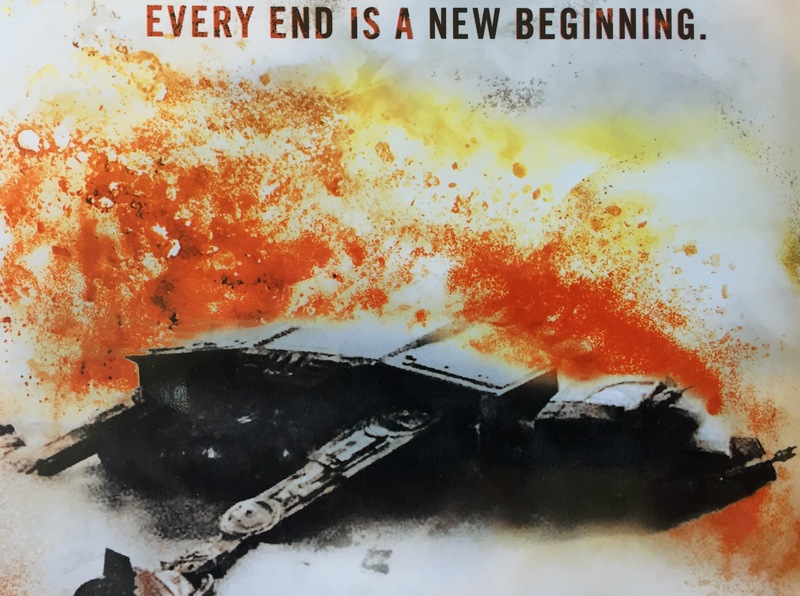 It does what it says on the tin, as the saying goes, when it comes to Empire’s End, and while a fun read and a suitable conclusion to the Aftermath Trilogy, the final entry in the series doesn’t quite live up to its predecessor’s success. The cause for failing to meet that last full measure, and just barely missing it, has less to do with the character work, which Wendig exceeds at, but in fully representing the scale and finality of the Battle of Jakku. Jakku was introduced in The Force Awakens, a desert planet riddled with the remnants ships and materiel from the great battle that ended the Galactic Civil War. The battle was featured briefly in Lost Stars by Claudia Gray, and more excitingly at that, and then touched upon in other media. The lead up to what was supposed to be the stage for it in Empire’s End (the book cover features the battle) was big, but Wendig ultimately found his characters’ story arc more interesting. This is not a bad thing. The majority of the characters introduced in Life Debt return for the conclusion, including Leia, Han, and the ragtag family of heroes first introduced in Aftermath. Mon Mothma is given even more time and through her we get to experience the growing political difficulties of setting up a new government after victory in war. For all but two of the characters, Empire’s End feels designed to help conclude their stories rather than attempt to carry them out until the end of the book. Those two characters are namely Norra Wexley and Rae Sloane and the two are bound together by the narrative. Norra is resolved to hunt down Sloane, whom she believes was the mastermind of the attack on Chandrila in Life Debt, and by extension, the woman responsible for brainwashing her husband and once again tearing him out of her and her son’s life. Sloane is driven by the same attack, but driven to find Gallius Rax, who essentially set her up to take the fall, and paradoxically in the middle between the women is Brentin Wexley, Norra’s husband, also determined to make Rax pay for what was done to him. The most interesting parts of Empire’s End revolve around these two women and their quest to achieve revenge, vengeance, or justice, depending on their or other’s perspectives. It’s this part of the novel which end up being the most entertaining and this comes as a detriment later to giving the Battle of Jakku its due as arguably the third most important battle between the Galactic Empire and the Rebel Alliance. Wendig is hampered in part by his medium, as the conclusion of Empire’s End can be seen in one’s mind as similar to the final installment of another trilogy, Return of the Jedi. Whereas George Lucas had the visual spectacle to add excitement to the space battle portion of the three prong story concluding in his film, Wendig has only his pages and those pages simply do not convey the excitement one would hope. His focus are his characters, who come ready to crawl out of the pages of the book and be some of the most interesting new Star Wars characters to date. This is not a reason to not pick up Empire’s End, but really only one of the two disappointing things about it. The other is the absence of one character who has simply fallen off the expanded universe map: Luke Skywalker. Every single character from the original trilogy makes an appearance in the Aftermath Trilogy, even Lando Calrissian who is provided a rather fun interlude in Empire’s End (We fully endorse any plans to allow Wendig to write a Lando novel). The exception is Luke, who with the exception of Shattered Empire, a comic miniseries from Marvel Comics, has not been seen in the post-Return of the Jedi universe outside his sixty seconds at the end of The Force Awakens. This is both unfortunate and definitely confusing, as the only explanation for it is to leave everything about Luke’s time after the death of his father as a complete mystery to be revealed only in The Last Jedi. Given that this spans about thirty years and the Aftermath Trilogy spans only nine months, it’s disappointing that even nine months of Skywalker’s whereabouts have been deemed too secretive to share. It’s a glaring absence that reduces the joy of reading the whole series as fans of the original trilogy are left simply wondering where their Tatooine farm boy has gone off to. The Skywalker sized hole in Empire’s End is not enough to ruin the book, nor is the fact that the Battle of Jakku did not make it up to 11 on the volume knob. In fact, beyond these two points, it’s a fun, entertaining read which lays down the framework for the Star Wars universe after the original trilogy that builds up to the time period of The Force Awakens. Fans of that film’s First Order will find the seeds of its birth, as well the birth of its fierce Dark Side using villain. Chuck Wendig was entrusted with relaunching the expanded universe’s biggest realm of interest, everything that happened after Endor, and he has done so successfully, nudging things into place to line up with what has already been established, and in a constant page turning manner. His efforts should be applauded and he hopefully will return to the Star Wars literary universe again in the future. Until then, Empire’s End serves as a fine conclusion to his trilogy, and a solid invitation to continue to explore the lives and fortunes of the characters we have come to love in the time after Return of the Jedi.